An epic fantasy set in a mythical, medieval Japan, Lian Hearn's Tales of the Otori series has crossed genres, generations, and genders. Grand and complex in its themes, elegantly written, each book in the original trilogy has become a worldwide bestseller. 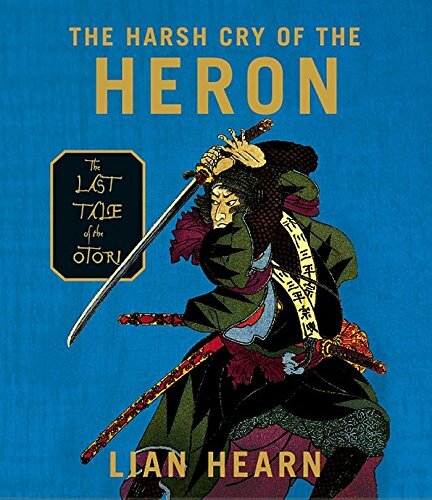 The surprise fourth installment (and real conclusion), The Harsh Cry of the Heron achieves new heights of drama and action. Sixteen years of peace and prosperity have passed since Lord Otori Takeo united the Three Countries. Takeo and his beloved consort Kaede have three daughters and a happy family life. Their success has attracted the attention of the distant Emperor and his general, the warlord Saga Hideki, who covet the wealth of the Countries. Meanwhile, the violent acts and betrayals of the past will not lie buried, and other secrets will not stay hidden. Everything that Takeo and Kaede have achieved is threatened. In full ninja versus samurai fashion, Hearn delivers a kinetic, heartbreaking, and uplifting resolution to a thoroughly gripping saga. If you have any questions about this product by Brand: HighBridge Company, contact us by completing and submitting the form below. If you are looking for a specif part number, please include it with your message.